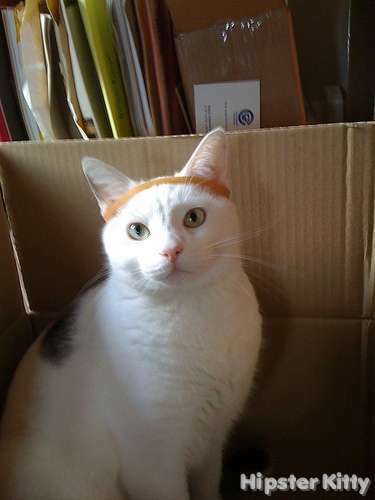 Bruce made his girlfriend take some “American Apparel” shots of him in his new headband. 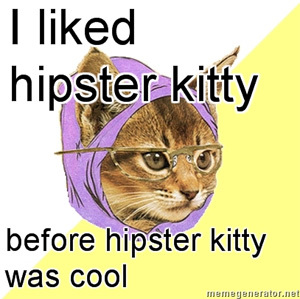 Submit a hipster kitty photoThanks to Joleen Marie for the photo. 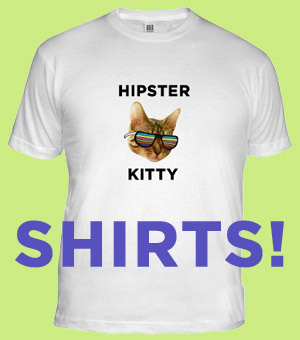 This kitty was posted on Friday, February 12th, 2010 at 1:27 pm	and is filed under Electro Kitties.